We are one of the leading tour and travel companies based in Bangalore. Travelers who wish to travel by cruise liners we provide efficient Cruise Booking Services. Our experts understand the budget of the client and then book cruise for them. We also arrange tickets for our clients according to their requirement. 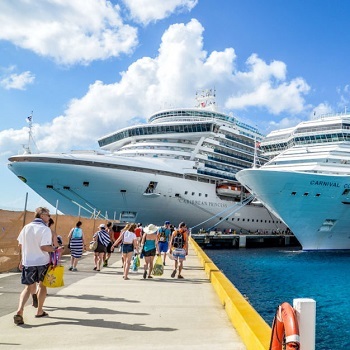 If you are planning to travel Royal Caribbean, Alaska,Singapore, Malaysia, Thailand, Hong Kong, USA, Canada, and Dubai by cruise on your vacations then you can avail our services. We make sure that you enjoy your tour, and feel relaxed with your family and friends. We offer our services at affordable prices. If you have any query, you can contact us.